The Portuguese political party PAN (People, Animals, Nature), defends a Basic Income pilot program in Cascais, a town just outside of Lisbon. 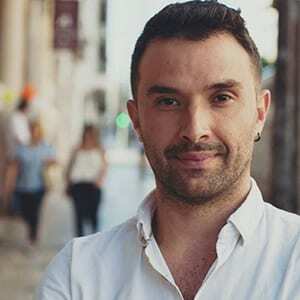 The proposal is put forward by the PAN Cascais candidate, Francisco Guerreiro in the context of the local elections happening in Portugal on October 1st. We spoke to Francisco Guerreiro about the proposal and he said: “Cascais in a town that has a high budget of around 160 million € and with a diverse population at a social, economic and cultural level.” PAN defends that Cascais would be a great location for the implementation of a pilot program. Francisco Guerreiro’s proposal is to create a workgroup to discuss a pilot program in the municipality of Cascais that would be diverse, including, not only politicians but also academics and scientists. PAN does suggest however that the pilot should be constructed in a way that is as encompassing as possible, including several social strata and not only applicable to the unemployed or to people with low income. The workgroup that PAN proposes would also analyze the financial viability and funding of the pilot program, as well as the sample and the length of the program, exploring national and international sources of funding. Cascais is a municipality that besides having residents of different social and economic status, also has both urban and rural settings, making it an ideal experimental ground for a Basic Income pilot. PAN is the only Portuguese political party so far to officially include Basic Income in their program and has a longstanding history of defending the idea. However, this is the first time that there is a specific proposal to implement a pilot program by a local candidate. The political party PAN is also a partner of the 17th BIEN Congress happening in Lisbon, September 25-27 and of Basic Income Week, September 25-30.